Digital marketing never stays static. As a small business owner, what do you need to know to stay ahead of your competition? Here Tim Butler, the founder Innovation Visual gives you the latest on digital marketing. Artificial intelligence, or AI, is a significant force in marketing now. AI works by learning and responding and this power is being used in a number of marketing areas. Machine learning – the ability for AI to learn and improve itself without explicitly being programmed, has seen the functional scope of what is possible to expand rapidly in recent years. Marketing is at the forefront of AI use, with Google’s AdWords and Facebook both using AI to refine who is shown what adverts. AI goes even further beyond this in marketing. The most commonplace use of AI is in the digital assistants like Amazon Echo’s Alexa, Google Home’s Google Assistant and Apple’s Siri. There are an estimated 50 billion searches per month now activated by voice. These searches are on Voice First devices (those that do not have a screen), mobile phones and increasingly desktop devices that have voice search capabilities. Only the first search result is read out by devices so being number two in the results now has less benefit. The fight to be the number 1 search result is going to become increasingly intense for marketeers going forward. Voice searches tend to be longer and more sentence based than typed search queries. The impact here is that you need to start optimising your content for themes, not rigid sets of keywords. The AI is retaining the context of what has been said before, which means that the results provided are dependent on this and increasingly granular personalisation. A large majority of voice searches are being done on mobile devices. Google has said that 20% of its mobile device / app based searches are now done by voice. Searches like ‘find a coffee shop near me’ take into account the user’s geo-location data to provide results. Voice search is facilitating greater disintermediation. If you ask Amazon’s Alexa to order you a large pepperoni pizza one will arrive from Domino’s. You do not get the choice. Being the chosen supplier or being number one in results gives massive market power when voice search is going direct to transaction. Helpful chat boxes in the corners of websites have become increasingly popular. Often when discussing their use with clients over the past few years the issue has been manning these chat systems, so that web visitors have someone ready to interact with, especially in smaller businesses and outside of normal hours. This problem is ceasing to be a problem through the application of AI. This year we’ll see better chatbots as the technology becomes more mainstream and mistakes that have come before are learnt from and improvements are made. The other big difference is the way that bots can integrate with existing messaging apps such as WhatsApp, and Facebook Messenger by inviting the bot to join a conversation. This will make bots much more prevalent in 2018 and just like voice search make their use by people habitual not exceptional. No, it is not a typo. The Smarketing theory is that businesses need to stop thinking about Sales and Marketing as two separate functions. This can be easier said than done, especially with established hierarchies and managers protecting self-interest, but it makes sense. To a potential customer they view a potential supplier in singular terms. To them the experience they have with that business should be consistently good throughout their buying journey. So, they should not experience a dramatic change in tone, approach, content or even offering when they move from browsing a website to being contacted by a sales person. There is a benefit for businesses acquiring new customers by taking an Smarketing approach. 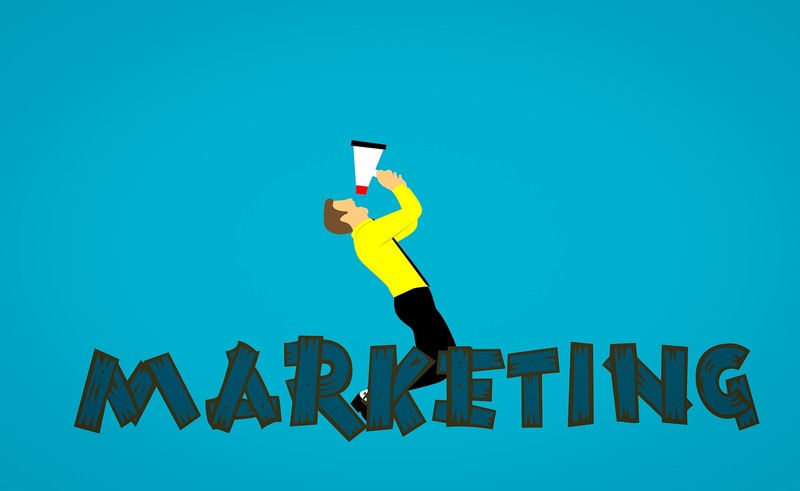 If you have a joined up Smarketing team you do not face the issues of marketing pushing the wrong types of leads, or the wrong level of seniority, or too many/too few leads into the sales function. Digital inbound marketing continues to gain ground and is set to become as mainstream as having a mobile friendly website for B2B companies. Inbound also feeds into the trends from search engines to look for content and optimising for themes. Building great content is great for your visitors, the search engines know this, but inbound marketing and content marketing places the emphasis much more on getting this content to achieve the business goals. If you follow inbound marketing techniques you create your content in a much more structured way. Content is focused on specific audience groups, personas, and their needs. Their need for information changes through their buying journey and good inbound marketing addresses not only the differing content needs at different stages, but crucially also moves the prospect along the buying journey. More on small business marketing.